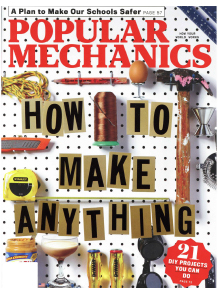 Popular Mechanics featured Bully Boy Distillers in the publication’s September “How To Make Anything” issue. The piece features a step-by-step guide for how to make one of Bully Boy’s signature cocktails, Teddie’s Peanut Butter Dream. The magazine also features a photo of the cocktail both in the article and on the cover of the issue.